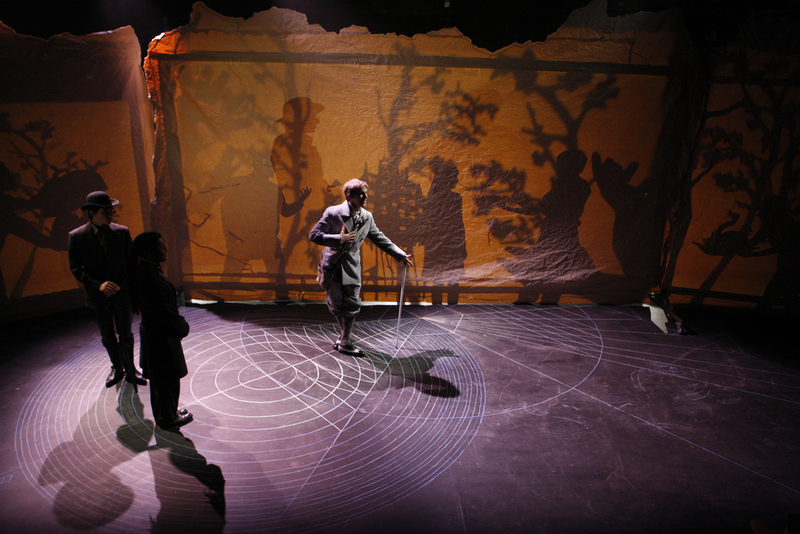 Adapted from the novella “Peter Schlemihl’s Remarkable Story” by Adelbert von Chamisso, a twist on the Faust archetype, Peter’s Shadow is told through shadow puppetry, video and live performance. The mode of representation gradually transitions from an all shadow world to an all physical one as Peter gains self-awareness. Peter, who experiences the world through emotion and intuition, is balanced by the logic oriented Grey Man, who has gained access to the metaphysical, actualized by a video reality, through intense study of the natural world. The Grey Man offers to sell Peter a bag of endless gold in exchange for Peter’s shadow. When Peter realizes the loss of his shadow represents the loss of something fundamentally human, the Grey Man will only agree to sell it back to him in exchange for Peter’s soul. Experimenting with video and shadow to enhance the villain character "The Grey Man." The video was hand manipulated, just like the shadow puppetry. I mounted 4 projectors onto rolling stands. 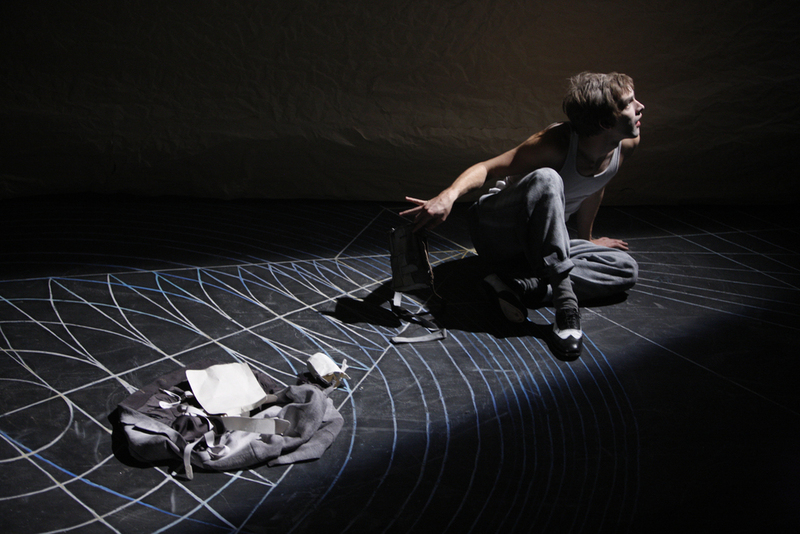 The puppeteers also used a variety of mirrors and other materials to throw the imagery around the space. We also played with embedding video into the Grey Man’s shadow to give it an extra dimension.